Grandparent's Day is this weekend and like always, I'm last minute Lucy trying to put something together for my girls' grandparents and great grandparents. Since they are both so into coloring lately, I figured I would go with a simple coloring activity. I decided to make multiple versions of the coloring page. I have a blank version with just the border and the title where children can draw their own picture. 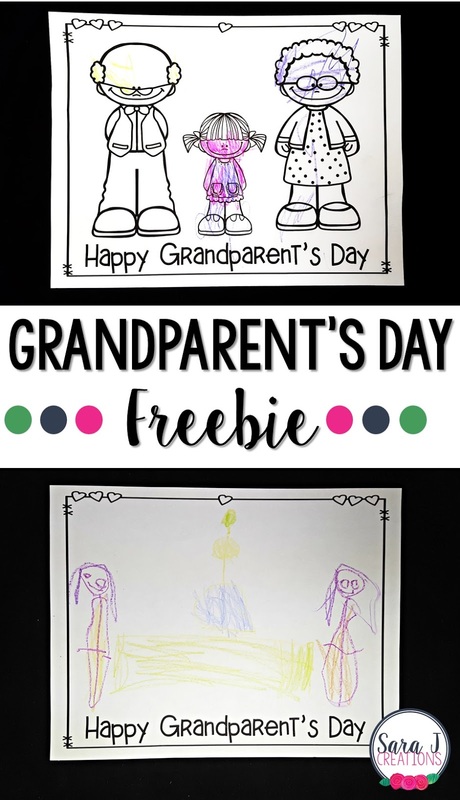 I also included versions with grandparent clipart that younger children can just color. This comes in several variations - girl with both grandparents, girl with grandma, girl with grandpa, boy with both grandparents, boy with grandma and boy with grandpa. I had my girls color these, printed out a recent picture of them actually both looking at the camera and smiling and away they went in the mail. Quick and easy way to brighten the day for the grandparents in our lives. If you are interested making grandparent's day pictures, click the button below, enter your information and they will be emailed directly to you.